You and your family can plan a tour to the Village Of Carbon to enjoy holidays in a splendid manner. 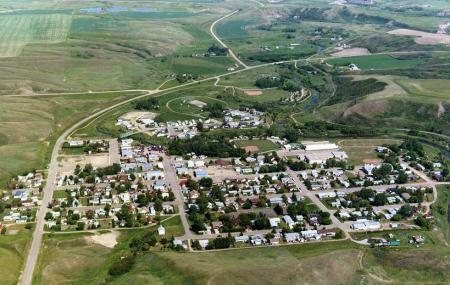 The village is historic as the ranchers chose to develop the settlement in the early 19th century. Currently, the place is known to be a beautiful residential district where you can find many tourist attractions. You can easily enjoy camping at this place as the village offers multiple campgrounds. The other tourist attractions of the Village Of Carbon are gardens, lookout points, museums, golf courses and much more. Those who like to enjoy athletic activities can come here to enjoy activities like ice skating, baseball, hiking, and mountain biking. Love all the wild life fluttering around and roaming the streets. Nice and safe place to raise a family, has some of the best teachers around. Wish there was more for people to do though. Love this Campground. I would of gave it 5 but they advertised wood and didnt carry it any more. It was clean and spacious and walking distance to town. The trails were well kept . I will be back next year for a longer stay. Petit camping a l'est de la ville. Juste assez boisé, super propre, douche excellente et impeccable. Beau panorama. A une vingtaine de km de Drumheller, mais ca vaut la peine pour avoir la tranquillité.